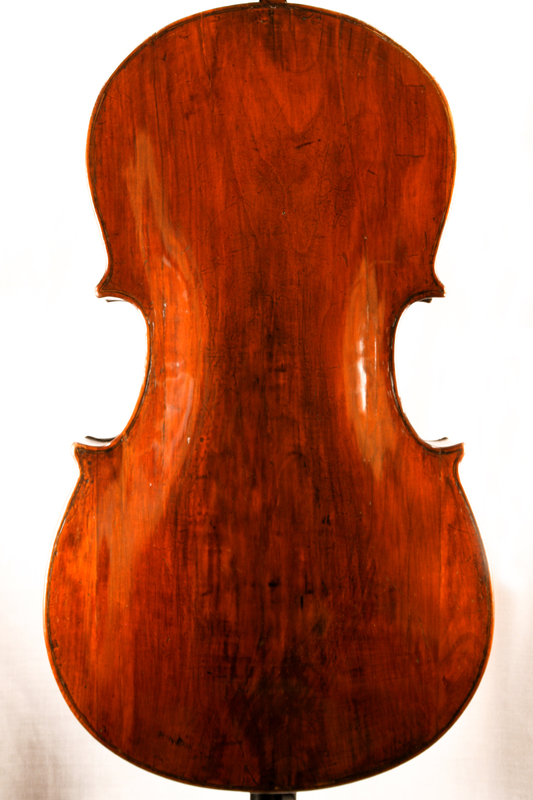 This fascinating cello has long been thought to be made by Domenico Busan (Venice 1747) of which it bears a label. After thorough research it is now certified to be of Milanese origin approximately 1760, although the maker is still anonymous and therefore the prize is still very interesting. The sound is powerful and rich, due to its full archings and typical materials. 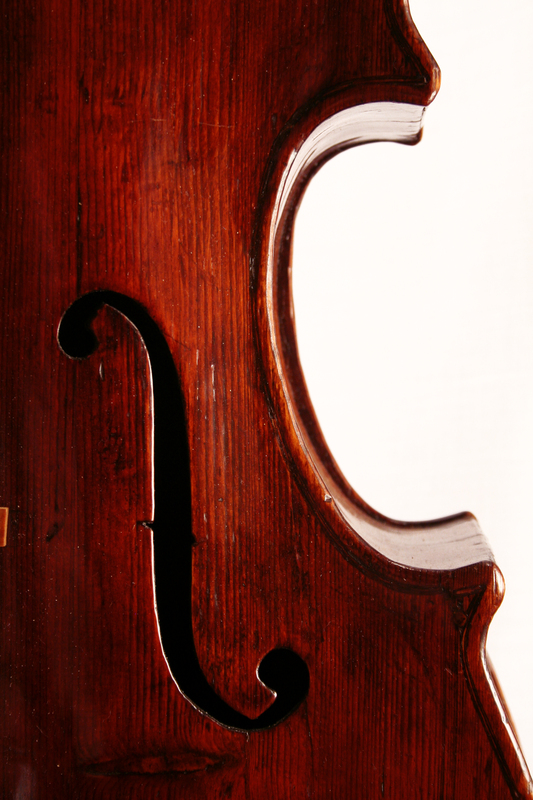 The top is made by various segments of spruce with excellent sound characteristics The back ribs and scroll of nut wood, typical for the makers of that period in Milan, Italy. Aesthetically the instrument is mysteriously dark red-brown. More info on request. 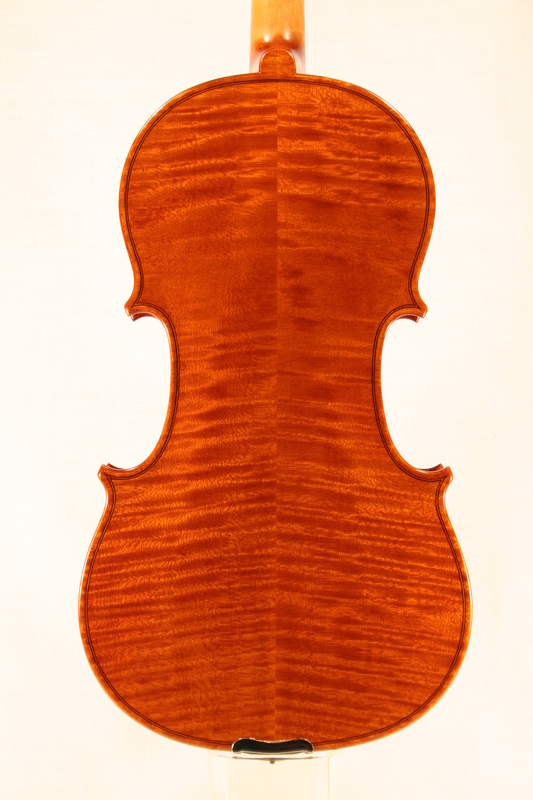 I’m proud to present, after 36 years of activity, my latest violin. I have made it with extraordinary old wood, for both the spruce top and the maple back and in fact it sounds like a very aged instrument. 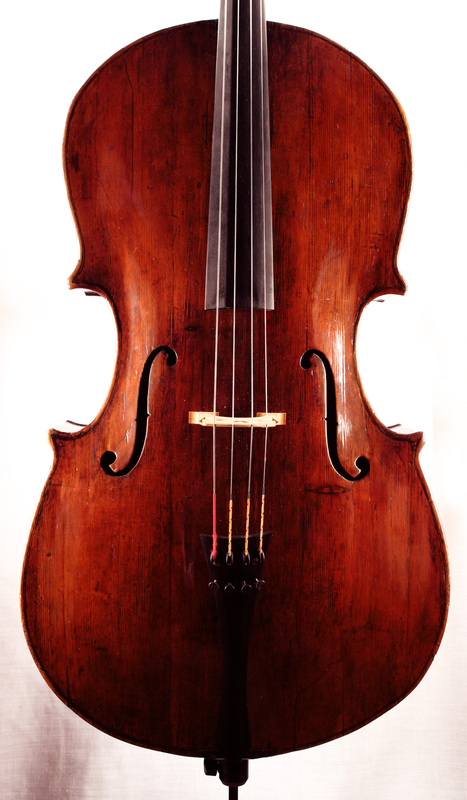 The people who played it so far, could not believe that it was a recent made violin as it had all the characteristics of sound that we normally find in an antic one. 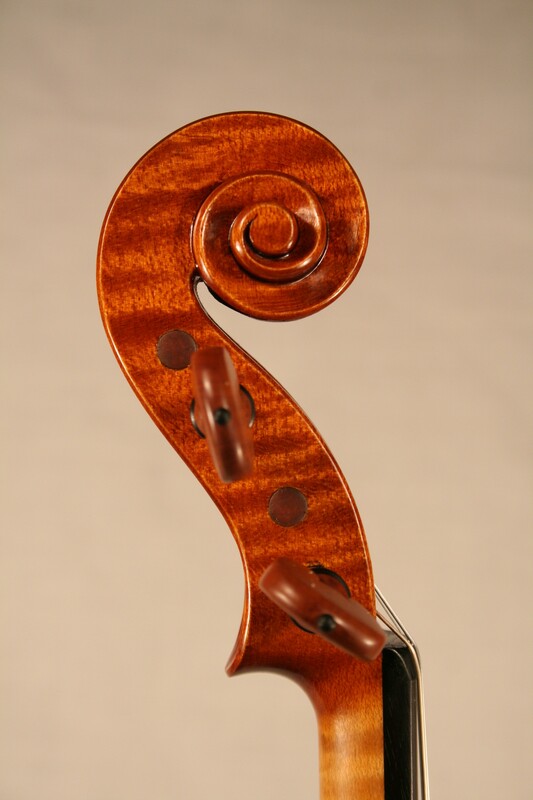 I’ve used my beloved golden period Stradivari model with off course my personal input. The varnish is a pure oil varnish on antique recipe. It has a beautiful transparent orange red color due to its natural pigments. The transparency shows the golden ground and the very luminous wood with its deep flames on the maple. This violin has my personal certificate but also the Cremona Liuteria certificate (n.01458) by the Cremona Consortium of Violin Makers. 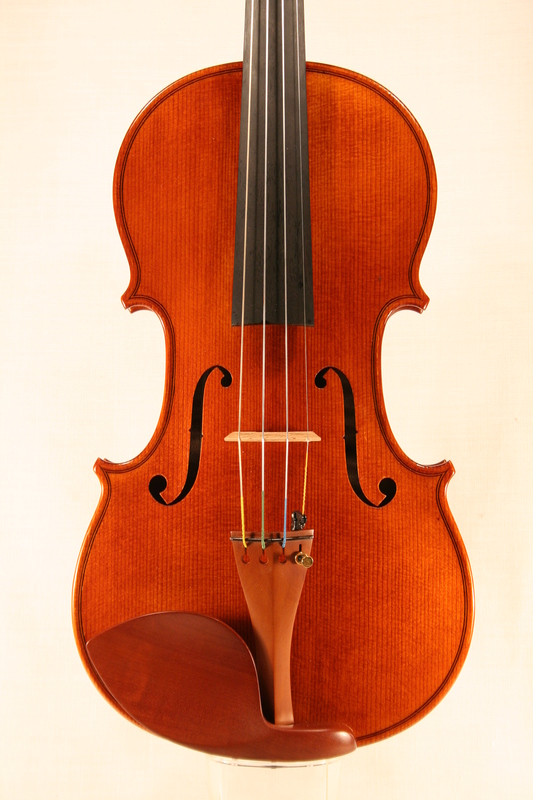 This is a superb concert violin at present for sale in my Cremona based workshop. Please contact me for more information.